Last month, when KDP Select popped up, I jumped at the chance of trying it (click here for my initial thoughts). While I never thought I would get big rental numbers, it was the option of having my book offered for free for 5 days that initially got me excited. I've managed to get a couple of shorter titles (which I've written to use as promo for my full length novels) up for free via Amazon price matching and both times the sales of my novels have sky-rocketed, both hitting the best seller list for their genres. So, my initial plan was to get promotional titles into KDP Select and then offer them for free with a big chunk of my novel attached, together with a whole heap of buy links. So, that's what I did. But something surprised me. What I wasn't expecting was for sales to continue after the free promotion started! When my zombie novelette, 'The Body Farm' went up for free for two days, the highest it reached was #5 on the free horror charts. When it went back to 'paid' it dropped right back and then started climbing again. The highest it ended was #13 on horror and I sold more books in a day then I did in a month. After a week or so, it did start to drop again. But the thing is, I only ever intended on using 'The Body Farm' to promote my new novel, 'The Dark Road'. When I did the initial freebie, the book wasn't out yet, but I wanted to give people a taster and didn't want to miss out on the busy holiday season. This weekend, 'The Body Farm' is going up for free once again, and this time it will contain the buy links for 'The Dark Road'. I'm hoping this will generate some sales for my novel, but we will see. So, you may be wondering, why did sales continue? It was because of the little 'people who bought this, also bought this' box on the Amazon page. If your book has been downloaded several thousand times, your book suddenly gets exposure like it never did before. This little box is key! In the end, I only had 9 rentals last month, but I had about four thousand downloads and sold a couple of hundred books. Not a bad result considering I hadn't even uploaded the book anywhere else and only intended on using it to market my novel. If you're going to put your full length novel up for free, make sure the book is in a good position for people to want to download it. Make sure it's got some great reviews! Don't be tempted just to put your book up for free for one day. As soon as it's gaining some momentum and you're getting excited, it'll go back to paid again and won't have created the impact you need. If you want rentals, you're more likely to get these if your book is at a higher price. People only get one rental a month, why would they bother with a title that's only 0.99? So what are my plans about the rest of my book and KDP Select? Well, today I enrolled one of my M.K. romance novels, 'Escape'. Sales have always been slow on this one and I figure I've got nothing to lose. I'm hoping to generate a few more reviews before I put it up for free, but then I'll just have to sit back and watch. I am sorely tempted to put the first novel in my 'Serenity' series into the program, but if I do, it will be in March, when the third book is out. 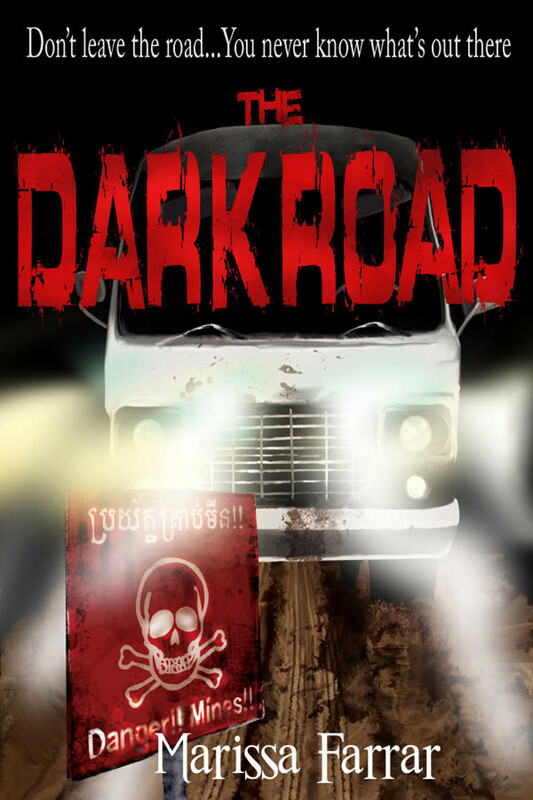 As for my new novel, 'The Dark Road', I'm going to see what happens this weekend with the freebie and then I'll make the decision about entering it into KDP. At the moment, I think I probably will, but not right yet. I want the book to gain some reviews first in order to encourage downloads. I still don't like the idea of Amazon having so much power, but until the other eBook sites come up with something innovative to help indie authors sell books, I think it's a chance worth taking. After all, it's only for 90 days (if you so choose) and in the life time of book, that is nothing. If you'd like to read my new novel, 'The Dark Road' is now available from Amazon. And if you'd like to get a freebie, together with the first twelve chapters of 'The Dark Road', 'The Body Farm' will be FREE to download this Thursday, Friday and Saturday! I had a similar experience with two of my titles. I was skeptical in the beginning but decided to give Servants of Darkness, my collection of tales a try. It hadn't been doing very well. (collections aren't supposed to do well) but it took off reaching # 2 in anthologies. I gave away thousands of copies. The curious thing is, it continued to sell even after the free prom ended. That was three weeks ago, and it's still selling. Not at the rate of free, but the promo was definitely worth it. Three of my novels are with a publisher so I can't offer them free, but I have a new novel coming in a week or so. I may give that a try after it has received some reviews. Great to hear of your success, Mark! All around, all I'm hearing are good things. Best of luck with your new novel as well! No problem Red! As an update, I just found out we earned $1.70 per loan, which is a lot more than the 35 cents I've earned per sale! Also, this month's pot has just gone up from $500,000 to $700,000. Thanks for sharing this, Marrissa. I'd just read another article detailing how this is working out incredibly well for authors. Really useful to know Marissa - thank you and good luck! Welcome, Stacey and Lily! Hope it helps! Stacey told me we had to try this for "Satan's Toybox: Toy Soldiers." I was reluctant at first, but this could prove to be a way to jump out of the gates running hard. With you jumping on the bandwagon, Marissa, and Mark Edward Hall, a man I admire very much, saying it worked for him, who am I not to try this? And, of course, Stacey IS the Managing Owner of AKP. Hi Marissa, so far I'm experiencing a similar sales trend for my new romantic suspense eBook Burning Love. This KDP strategy from Amazon looks like it could be a real game changer in an industry that's constantly changing. Thanks for sharing your experience with us.